World of Warcraft: Uldir Mythic difficultly and Raid Finder Wing 1 are now available in North America – AiPT! Today World of Warcraft announced that Uldir is now available for play on Mythic difficulty and the first wing of the raid can be played via the Raid Finder. Are you ready to face the horrors waiting in the depths? Uldir Mythic difficulty and Raid Finder Wing 1: The Halls of Containment, now available in NA! Uldir is the first raid in World of Warcraft: Battle for Azeroth and opened on Sep. 4 with normal and heroic difficulty available. Players now have the option of challenging themselves with the hardest difficulty available in WoW raiding, Mythic mode. Also available today in the Raid Finder feature is the first wing of Uldir, the Halls of Containment. The Raid Finder feature is most commonly known as “LFR” or “Looking for Raid” and is the lowest raid difficulty Blizzard makes available to players. The intention of LRF is to give new players exposure to raids in a low difficulty setting, where victory is easily achieved and learning the mechanics takes center stage. It’s also a good method for new players to get themselves gear. 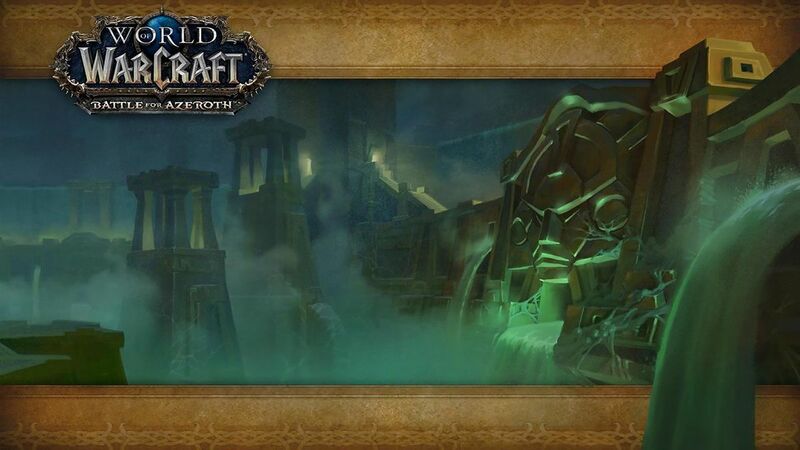 Players who join LFR for the Halls of Containment will face raid bosses Taloc, MOTHER, and Zek’voz, Herald of N’Zoth. The next wing, Crimson Descent, opens on Sep. 25 and features the Fetid Devourer, Vectis, and Zul, Reborn. The final wing, Heart of Corruption, opens on Oct. 9 and features Mythrax the Unraveler and the final boss of the raid, G’huun. Players must be at the max level of 120 and have an item level of 320 to queue for Uldir LRF. You can learn more about the raid bosses, their abilities and the loot they drop by using the in-game Adventure Journal.